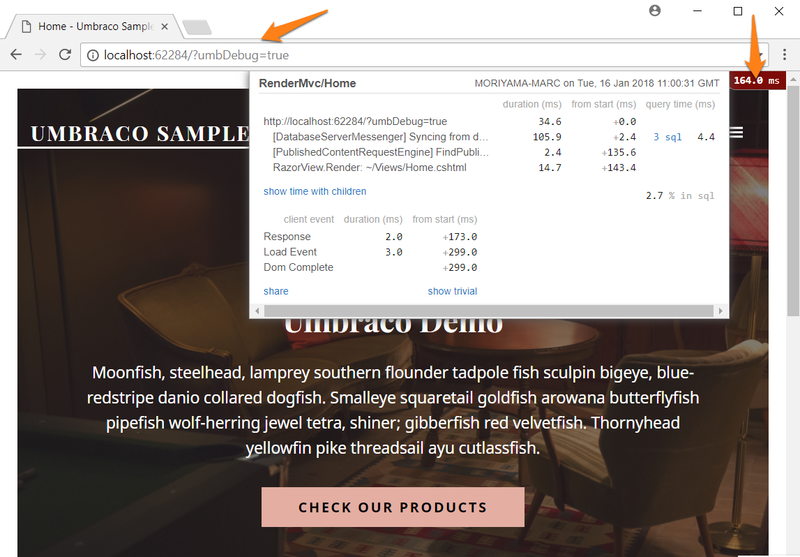 During the development of your Umbraco site you can debug, and profile the code you have written to analyse and discover bugs, bottlenecks in your code, or just help uncover what on earth is going wrong. Do not enable trace in your production environment, it reveals an awful lot about your production environment. 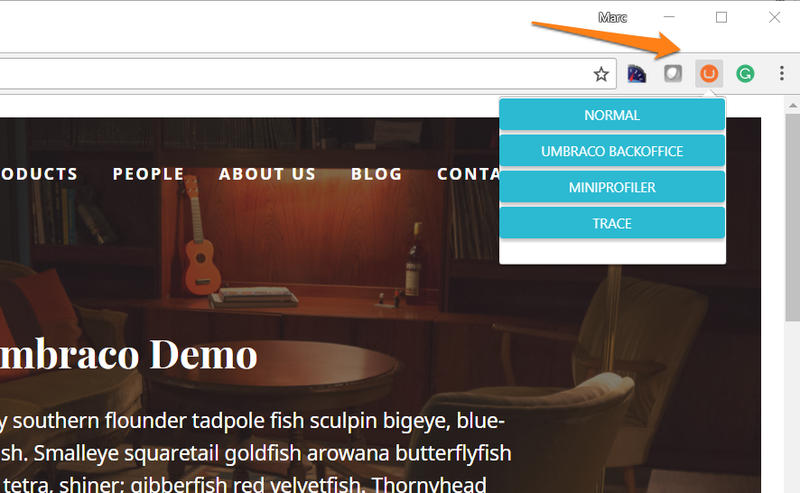 Click 'Clear current trace' and then in a different tab visit the url of the page you would like to trace. The trace requests for this page will appear if you refresh your trace.axd tab. 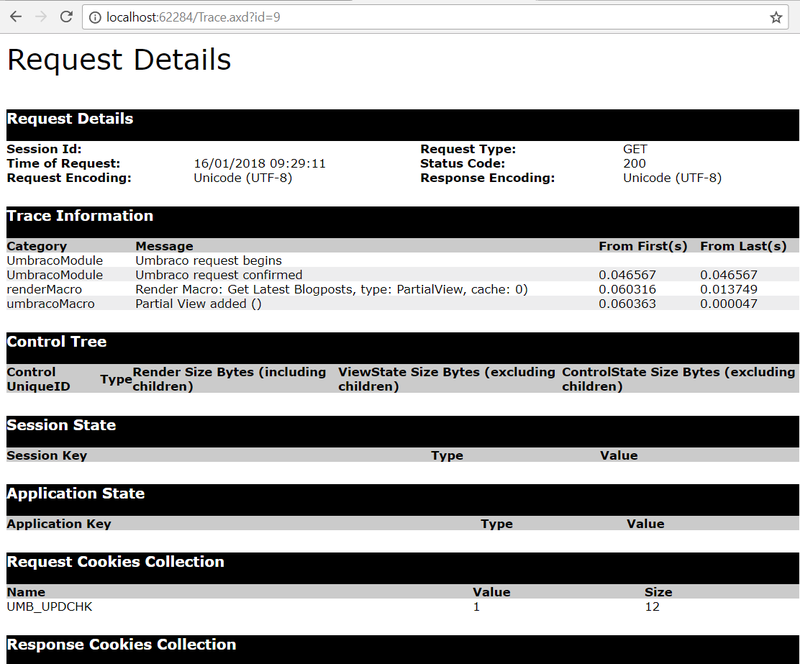 Click on 'View Details' for a particular request in the list to see the specific trace information for the page. 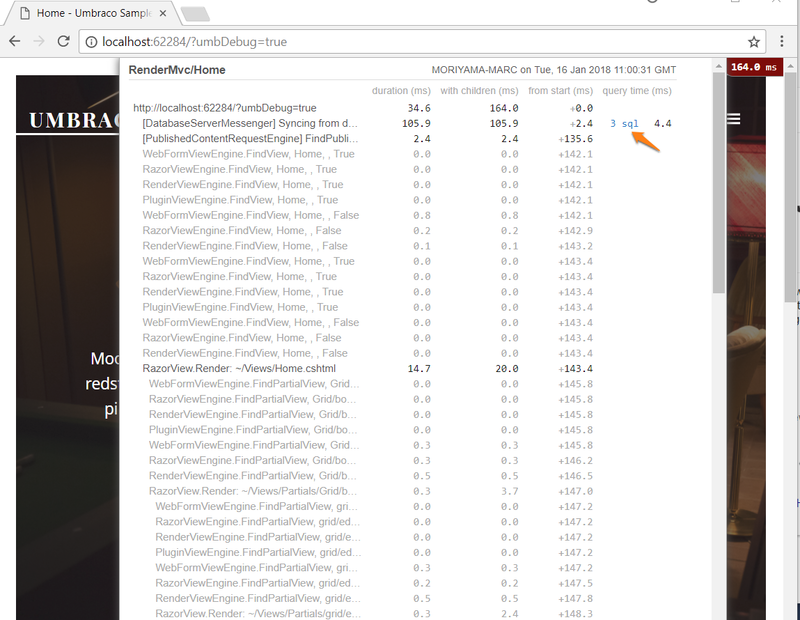 Umbraco includes the Mini Profiler project in its core (see https://miniprofiler.com for more details). 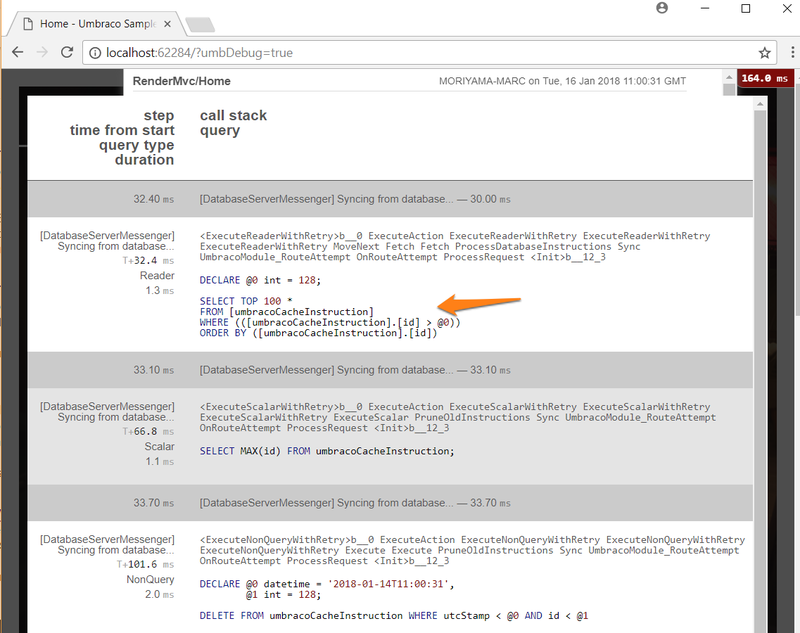 The MiniProfiler profiles your code method calls, giving you a greater insight into code duration, and query time for underlying SQL queries. It's great for tracking down performance issues in your site's implementation. 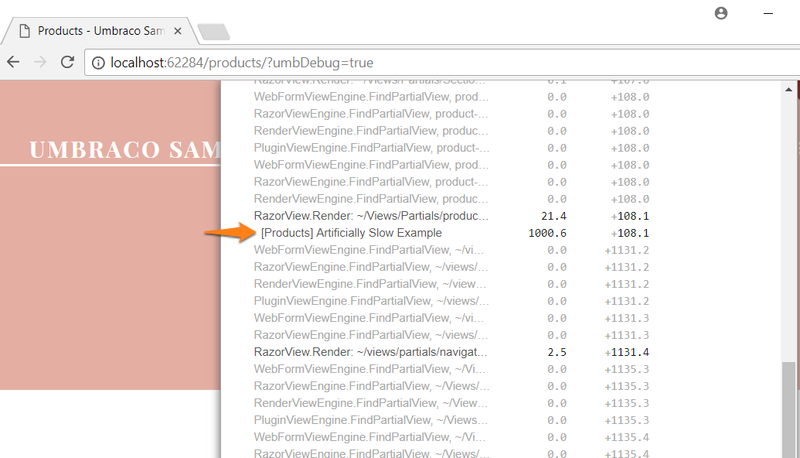 To display the profiler ensure that the debug attribute of the compilation element is set to true in your web.config and then add ?umbDebug=true to the querystring of any request. NB: debug mode should be disabled for your site in a production environment. To enable you to easily access and switch between the Mini-profiler / Trace debugging modes. 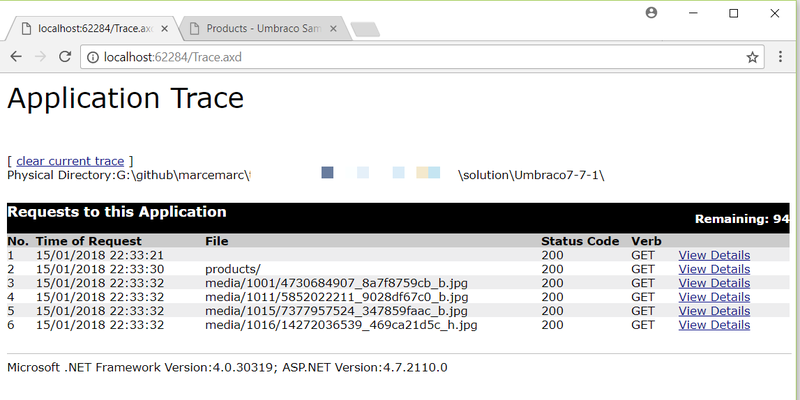 Learn how Umbraco writes log files and how you can write to them.